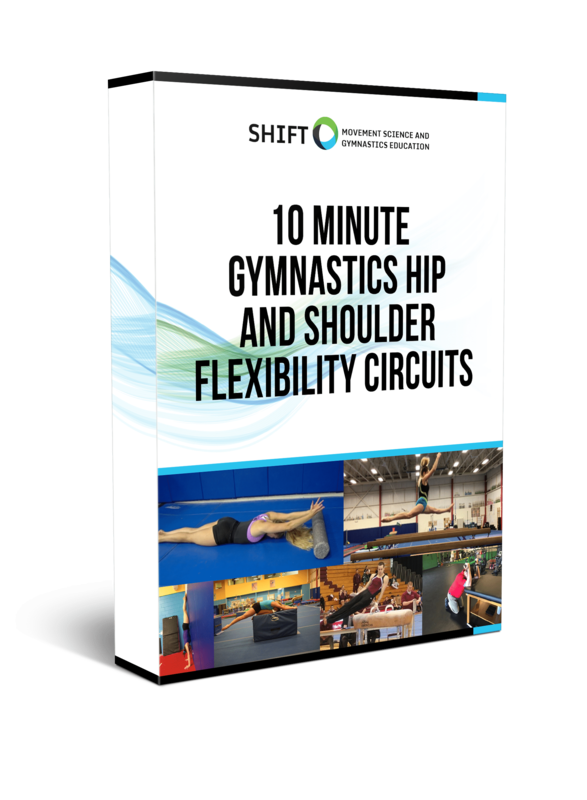 Hip flexibility for better splits or leaps, overhead shoulder flexibility for better handstands, and behind the back flexibility for better pommel or bar swings are very common issues many gymnasts or coaches face. I’ve spent many years in gymnastics trying to troubleshoot these issues, and one of the most underused (yet most research supported) ways to increase muscle flexibility is through eccentric exercises. The short definition for an eccentric exercise is one that requires a muscle to contract while it lengthens. I will explain more below, but loaded eccentric exercises are one of the most supported methods for truly increasing muscle length (although many other effects occur). This is opposed to research suggesting many other common gymnastics flexibility methods such as static stretching, PNF or active flexibility, foam rolling, or vibration therapy, that are thought to increase range of motion through thedesensitizationn of the nervous system, rather than actually increasing muscle length (again, it’s a combination of effects). The best approach is a combination of these methods, but I find eccentrics are really overlooked in the gym outside of maybe some EZ slider drills. Here is some more info to use! How does this Apply to Splits, Handstands, and Pommel / Pbar Swings? So connecting the dots here, one of the best ways that I have seen to increase the muscle flexibility specific to these motions is through the use of eccentrics. Over the last year, I have been giving out eccentric exercises to a lot of gymnasts, seeing very positive results. Following a proper assessment (and pending the gymnast is dedicated to doing these consistently through the week) I have seen some large improvements in both shoulder and split/leap range of motion. Here are some of my go to exercises that I use every day. I really want to make sure readers go slow on adding these exercises in. As you can see from the videos, blocks are used to help the athlete lift themselves from the bottom position so they don’t get hurt. You will notice their splits are not too low, as I told them to have very square hips and due to us just starting this for the summer I did not want anyone to be at risk of injury. We use very light weights in a motion they can control with good form. The ability to do these exercises well is something that must be developed over months, not days. Also an important note, a movement assessment needs to happen to make sure these areas are limited in their motion. Following the assessment, it’s worth noting these are not used by themselves. They are part of a larger flexibility circuit. After a movement assessment, I give gymnasts some light foam rolling to the muscle group (30-60 seconds based on this research review), a pre-test measurement, some specific static or dynamic stretching (2×30 seconds based on this research review), 2 sets of 5-10 repetitions of eccentric exercises with a 5 second lower like shown above (based on research here, here, here, and here), and then a gymnastics specific movement to apply the new range of motion to. 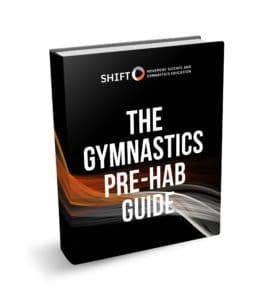 Before I finish this and chat, if you are interested in learning literally everything I have thought about related to gymnastics flexibility, there is a full chapter about it in my new gymnastics e-book that is 100% free. The book has been blowing up, which I am beyond humbled and grateful for, with thousands of downloads across the world in the last few weeks. Why Do Eccentrics Work To Increase Range of Motion? Generally speaking, there are two main thought processes why eccentrics (and many other common techniques to increase flexibility) work. It appears that a combination of mechanical factors and neurological factors are the main theoretical reasons behind why regular stretching increases range of motion. Want To Learn About All My Thoughts on Gymnastics Flexibility? This concept is really the tip of the iceberg related to flexibility. The reality is that I have drastically changed my thought process in the last five years after reading a ton of research, working with a lot of gymnasts as a medical provider, and still seeing the ground level challenges as a coach.